The service of the Outcast Dead is held annually in Norwich commemorating the bodies in the paupers’ graves. This year’s proceedings hold special interest for forensic archaeologist Ruth Galloway, who has just unearthed the notorious Mother Hook, hanged in 1867 at Norwich Castle for killing multiple children. Now Ruth is reluctantly starring in a TV special, working alongside the alluring historian Dr. Frank Barker. Nearby, DCI Harry Nelson is investigating the case of three children found dead in their home when another child is abducted. A kidnapper dubbed the Childminder claims responsibility, but is the Childminder behind the deaths too? The team races to find out — and after a child close to everyone involved disappears, the stakes couldn’t be higher. 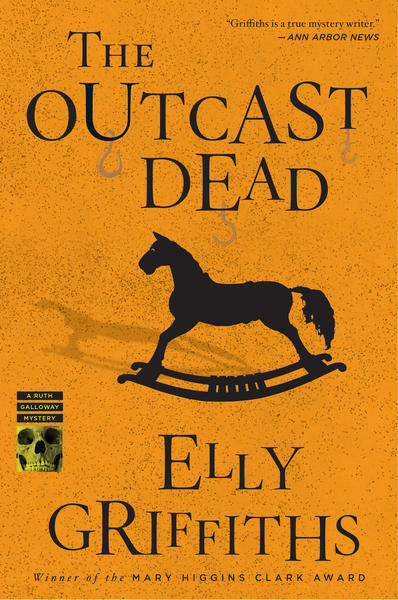 Elly Griffiths’s Ruth Galloway novels have been praised as “gripping” (Louise Penny), “highly atmospheric,” (New York Times Book Review), and “must-reads for fans of crime fiction” (Associated Press). She is the winner of the 2010 Mary Higgins Clark Award. Minerva (Grade: B) Best read as part of the series, as there are frequent references to previous books.